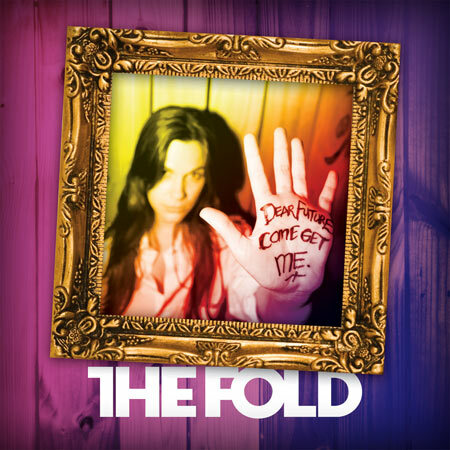 When I think of "The Fold," I automatically categorize them as a decent rock band. Nothing so great that I'm telling all of my friends about their new record, but when something like 2006's "Gravity" comes on, I can sing along and enjoy myself. So after their recent departure with Tooth & Nail Records, in what direction will the guys from Chicago head? The answer is found on Dear Future, Come Get Me, and in my opinion, there will be no large gain or loss by them becoming independent. The album opens up with "File Under: Ground" where the pace and energy are exactly what the listener can expect to hear over the majority of the next forty minutes. "Red Wine" and "Midnight" keep up the same speed and toss in the electronic feel that The Fold recently acquired. "Sink Or Swim" takes this sound even further, making it feel like something from an episode of Star Trek; it's a unique mix of violins and an ethereal sound. The title track "Dear Future, Come Get Me" switches it up a little by slowing the pace to deliver a more meaningful song about God being our comfort amid loneliness and the satisfaction that comes with that knowledge. The meat of the album is mostly comprised of your standard filler tracks. When it comes to an album from The Fold, there are usually several tracks that aren't blazingly great or necessarily terrible, but instead fall somewhere in the middle of the road. Examples on this album include "Hold On," "I Know Where I'm Going," and the typical girl-who-left-me track "Seventy Five Outgoing Calls." After the fillers, the eleven-song album finishes strong with "Neverender" which picks the tempo back up and "These Are My Dreams" in which front man Daniel Castady sings a song of hope to someone close to him who needs to deal with their own insecurities. All in all, this is exactly what I expected when I popped Dear Future, Come Get Me into the car stereo - something that has a good pace, filled with some fairly good tunes and a handful of mediocre songs to boot. Being apart from Tooth & Nail doesn't seem like it did much good or bad for The Fold, but overall this is a decent pop/rock album. If you're already a fan, this is definitely worth grabbing.